I feel like I have had a serious education about N.W.A. and the general 80s/90s rap scene after watching Straight Outta Compton. It is a powerful slice of music history that I knew literally nothing about which also tackles the violence in Compton and treatment of black Americans by the police, which is still so relevant today. 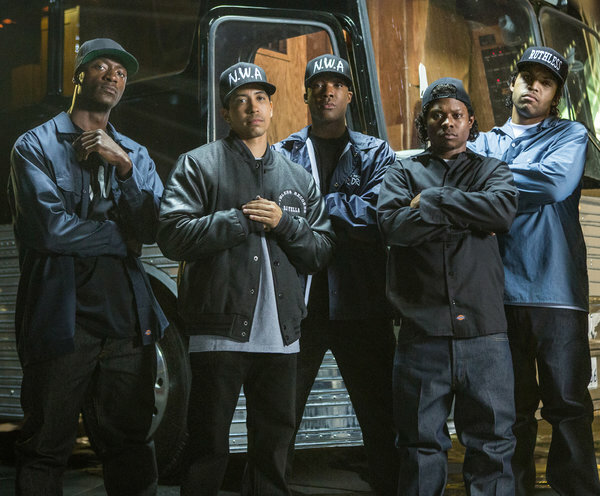 The film charts the beginnings of N.W.A. 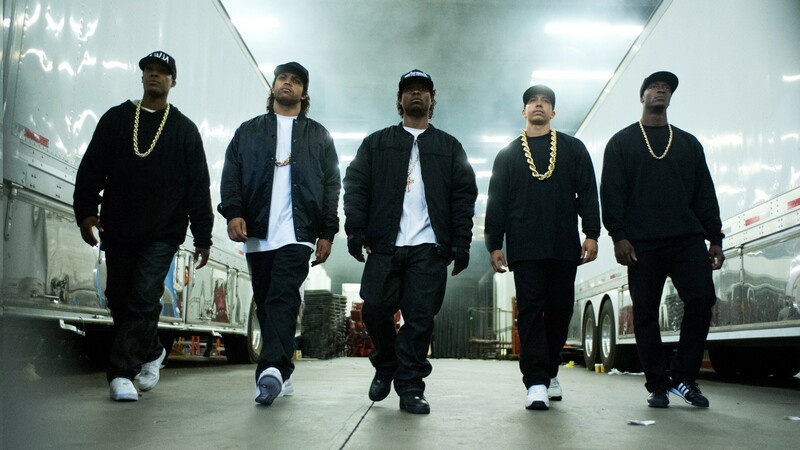 from their formation in 1986 with Dr. Dre (Corey Hawkins), Ice Cube (O’Shea Jackson Jr), Eazy-E (Jason Mitchell), DJ Yella (Neil Brown Jr) and MC Ren (Aldis Hodge) under Eazy-E’s record label Ruthless, to the release of their controversial and most successful album Straight Outta Compton and run-ins with the police. It also shows the gradual breakdown of the group thanks to dodgy contracts given to the others by Eazy’s business partner Jerry Heller (Paul Giamatti). Ice Cube is the first to embark on a solo music and film career and then the rest eventually crumbles. The film continues until 1995, when Eazy-E dies from complications from AIDS and Dre leaves Death Row Records to set up his own company. I felt like I learned so much from this biopic. Sure, there have been publicly-discussed gaps in the story but to be honest, this film felt cramped as it is so they could have done with chopping more out than whacking more in. It is 147 minutes and it felt way longer. After the group part ways, there are too many individual storylines going on that seem to take forever to wrap up. You know Eazy is going to die soon and you kinda want it to just happen already. So his death didn’t hit me as hard as I was itching for the end by that point. Besides the length and the sheer volume of stories, I was impressed by how honest this was considering Ice Cube and Dre serve as producers. They didn’t make themselves out to be angels – they were violent, drug users and very promiscuous. Everything until the proper split is so strong and on point. I loved it all – the music, the backstories, the recording sessions and especially the live performances. The banter between the guys was brilliant. I liked Jackson the best but that’s probably cos he looks and sounds like his dad Ice Cube but Mitchell as Eazy was also a highlight. They have both emerged as the stars of this for me. But I also want to give a shout out Keith Stanfield who makes a brief appearance as Snoop Dogg – he has that guy down. 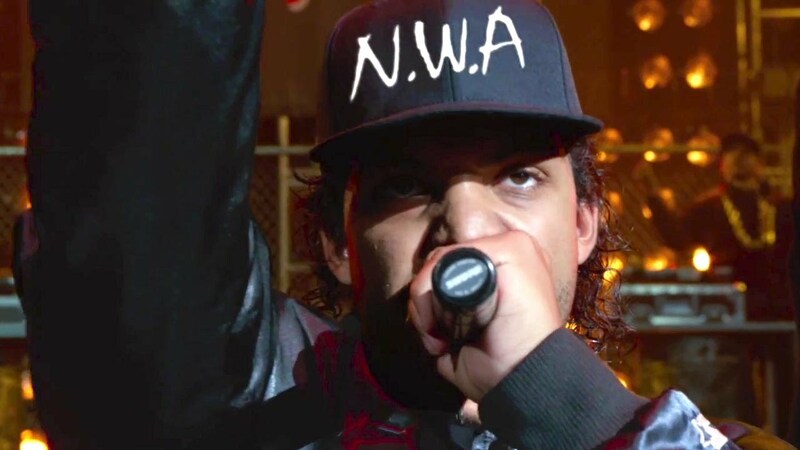 There are plenty of other musical cameos (played by actors) to keep rap fans on their toes. What I found most upsetting was the way the police treated black men around Compton. I was truly horrified watching those scenes even though you know this is still happening today in the news. It is still so relevant and really does signify that the policing needs a shake-up. Real footage from protests, the Rodney King beating etc really hammer the point home. This is a very powerful, inspiring if slightly overambitious story of one of the most influential rap groups in modern history. It needs a watch. « One Direction hiatus: The guys need this break! Thanks for the comment – I would love to know what you think!